There's a lot of hype on Creative's reference tablet Jaguar3. This is another article on ZiiLabs' attempt on the OEM tablet market. And they are not offering some crappy tablet specs. The Jaguar3 is highly customisable, low cost, sleek and fast. HP already gave up on the tablet market. I hope they can attract some big players and compete with Samsung Galaxy Tab. SINGAPORE — Creative Technology is dipping its finger in the tablet pie. However, it is not in the form of consumer tablets — yet. Its wholly-owned media processor and platforms company ZiiLabs has announced a new range of reference designs for Android tablets which look set to generate a wave of tablet computers capable of giving the Samsung Galaxy Tab 10.1 a run for its money. Aimed at the Original Equipment Manufacturer (OEM) market, the ultra-slim, slight and sleek ZiiLABS Jaguar3 series sports a 10.1 inch screen and is only 8.1mm thick. OEMs have the option of reducing the thickness to 7.4mm if they are willing to bear the additional costs. And the specs are not too shabby either. The Jaguar3 series tablets come with two processor options — the 1.5GHz ARM Cortex-A9 based ZMS-20 StemCell processors and next generation ZMS-40 SoC chip which sports a ARM Cortex-A9 and 96 StemCell Processors — both clocking in at 1.5 GHz. The ZMS 20 is a dual-core processor, while the ZMS 40 is a quad-core processor that promises to deliver performances that can rival a laptop while consuming only a single watt of power. This means that the device can last for over 10 hours of video playback and Web browsing while weighing no more than 480g. In addition, the higher end JAGUAR3 comes with a customisable camera configuration maxing out at 12 megapixels. The camera can be coupled with software supporting HDR imagery and panoramic shots and upgraded sound configurations are also included courtesy of Creative’s Sound Blaster. Chairman and CEO of Creative Technology Sim Wong Hoo believes that the JAGUAR3 can help usher in a new dawn for tablet computers. He said: “JAGUAR3 allows OEMs to enter this huge explosive market instantly and economically while reducing the risk significantly. 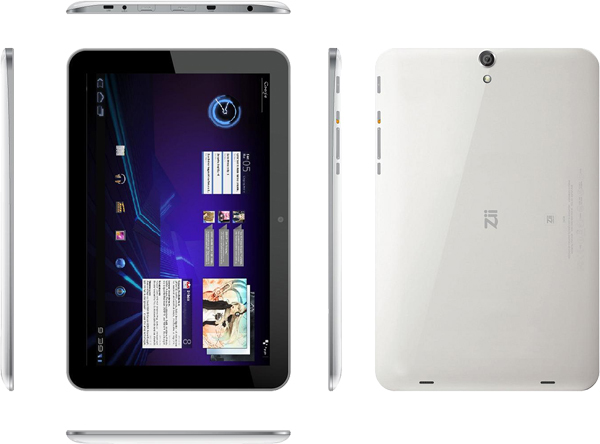 It breaks new ground as the most powerful, lightest, slimmest and most complete Android 3.2 tablet reference designs on the market. “If you look into the future of computing through our JAGUAR3 technology, you will realise that the PCs today will look more and more like mainframe computers of yesteryear. With the performance provided by JAGUAR3, tablets will be the mainstream computing devices of tomorrow,” added Mr Sim.